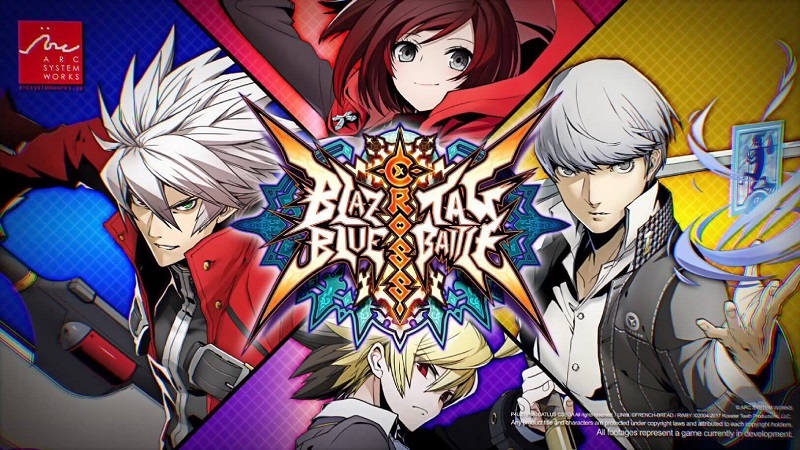 Earlier in the year Arc System Works, developers of the Guilty Gear & BLAZBLUE franchises, announced BlazBlue Cross Tag Battle; a cross-over fighting game featuring characters from fighting games including BlazBlue, Persona 4 Arena and UNDER NIGHT IN-BIRTH as well as Rooster Teeth’s anime-inspired CGI series RWBY. well over the past few weeks the developers have unveiled a selection of new characters as well as confirmed that BlazBlue Cross Tag Battle is being developed for the PlayStation 4, PC and Nintendo Switch. In short Jin Kisaragi, Rachel, Hazama and Noel Vermillion from BlazBlue, Weiis from RWBY, Yosuke Hanamura and Chie Satonaka from Persona 4 Arena as well as Linne and Waldstein from UNDER NIGHT IN-BIRTH have been confirmed as playable characters in addition to the already confirmed characters. Arc System Works have also promised that new character announcements will be revealed in the coming weeks. BlazBlue Cross Tag Battle is currently in development for the PlayStation 4, Nintendo Switch and PC with the game expected to release during 2018.